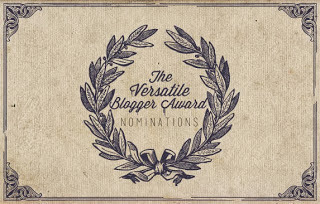 I received a very sweet notification that I had been nominated for the Versatile Blogger Award! A huge thank you to Melissa at Simply Sweet Melissa for the sweet words! I love that I am finding more and more people that are checking out the happenings here at A Southern Style! This award is given to you by fellow bloggers for writing quality blogs that have touched you in some way, having good pictures with good quality, and for the uniqueness of the subjects covered in their blog. This award is to honor the bloggers who bring something special to your life. 3. Present to 15 bloggers that you think deserve this award. Link your nominees in the post. Leave a comment to notify your nominees. 4. Post seven interesting things about yourself. 1. I have the cutest puppy in the entire world -- a 3 pound (full grown) Maltipoo named Sophie. 2. I love being surrounded by my family and friends -- home is where the heart is. 3. Wilmington has stolen my heart and will always have it, no matter where I live! 4. Pink, pink, and more pink. Pink flowers, pink nails, pink accessories -- it doesn't matter.